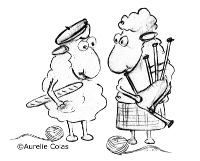 Provisional Crochet Cast-on is a technique that enables to cast-on provisionally using a piece of waste yarn. 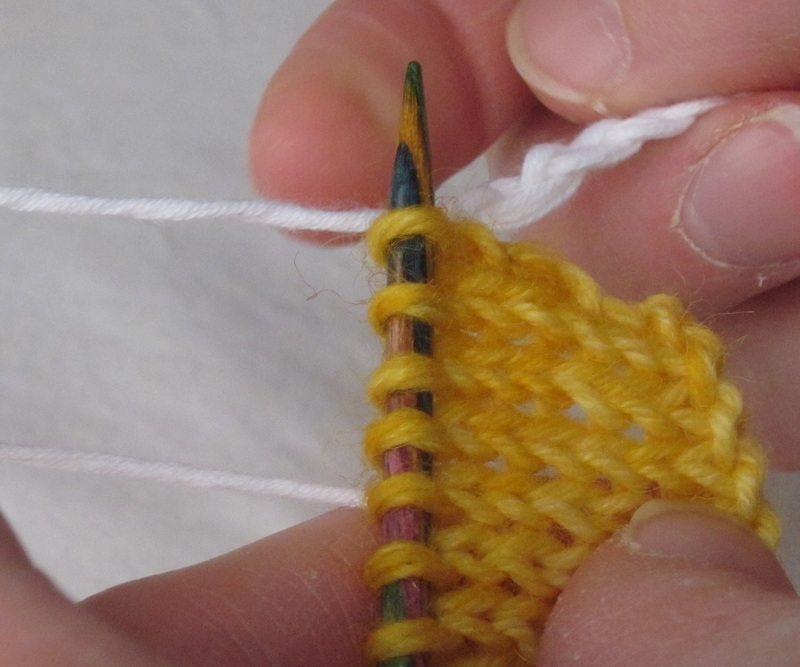 Later on, the waste yarn is removed (‘unzipped’), releasing ‘live’ which are available to be worked. 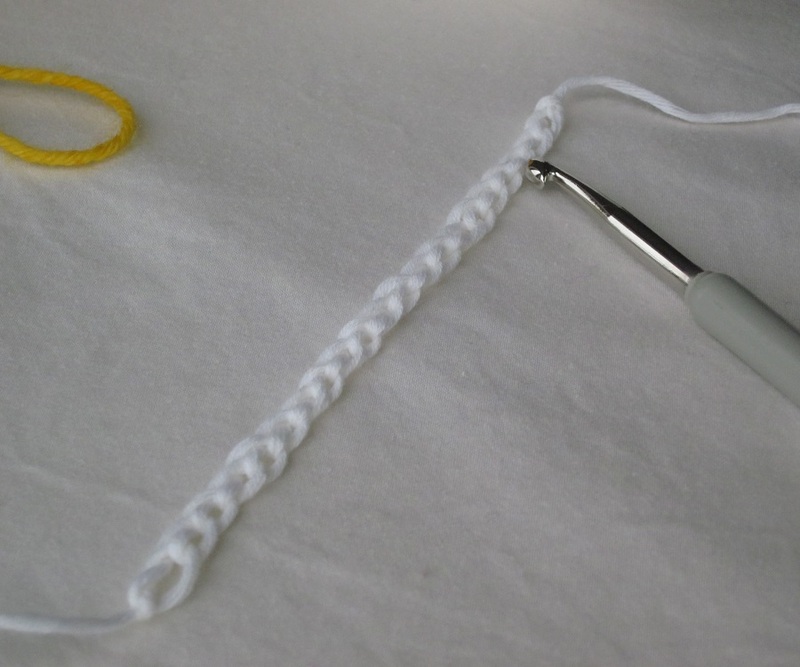 First, grab your hook. 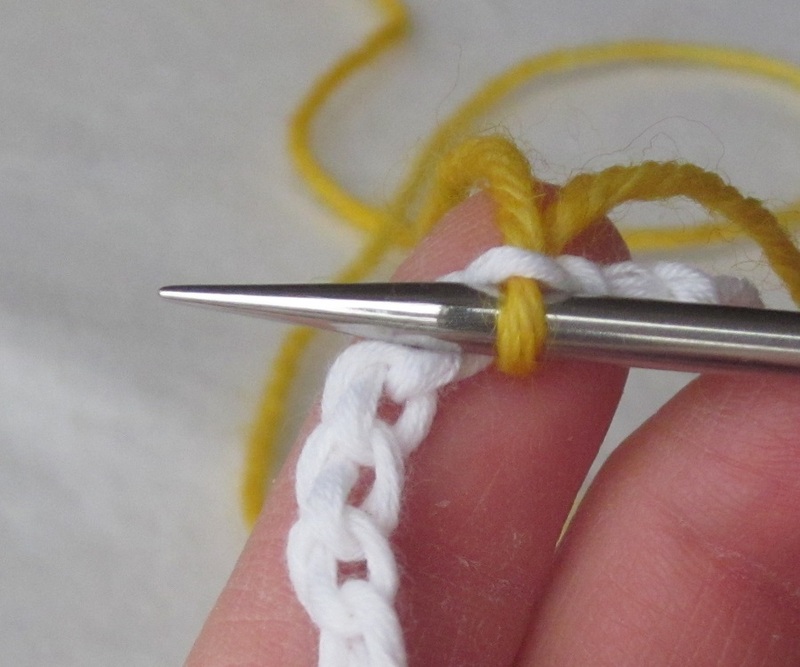 Make a slip knot on the waste yarn, and crochet a chain a few stitches longer than the number of stitches you want to cast on. Here, we will pretend we want to cast on 8 sts. 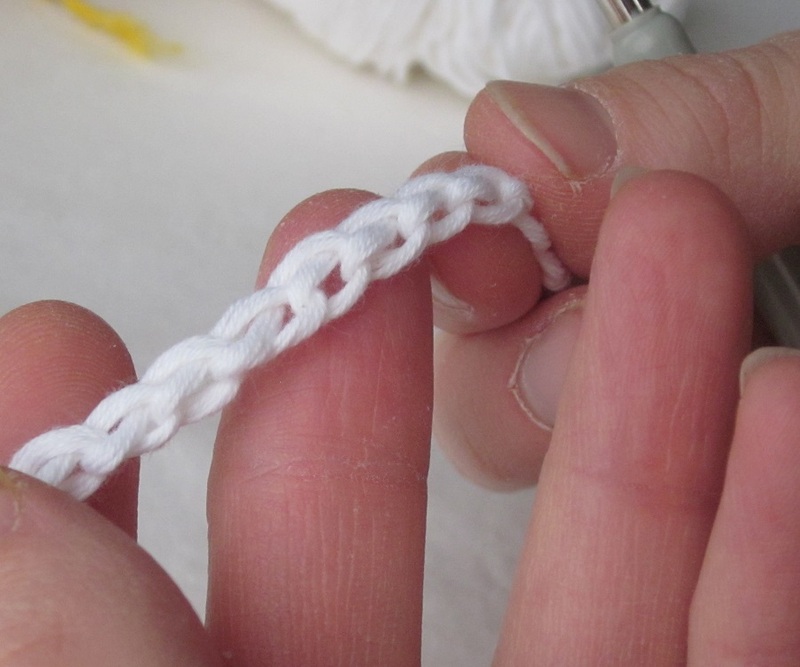 I always make my chains at least 10 sts longer ‘to be safe’. 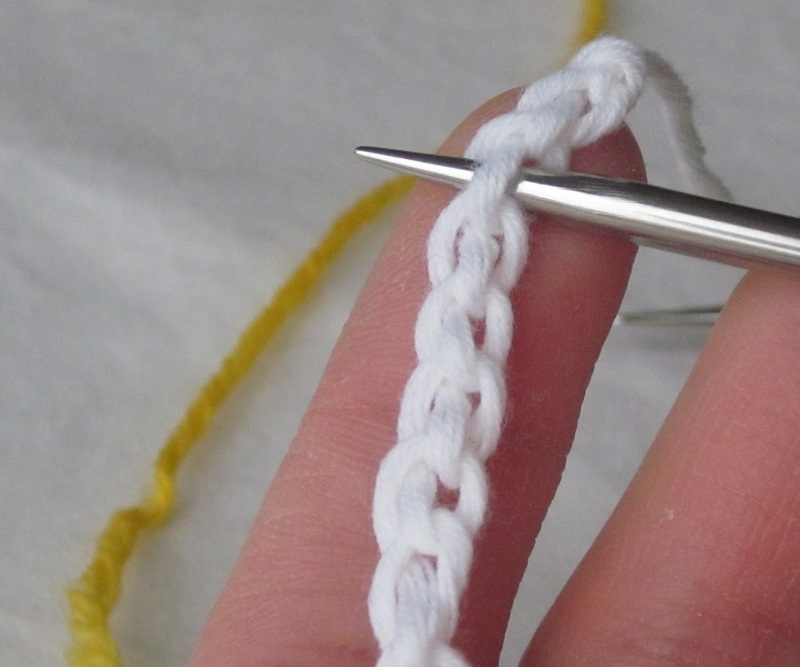 Don’t crochet your chain too tightly. 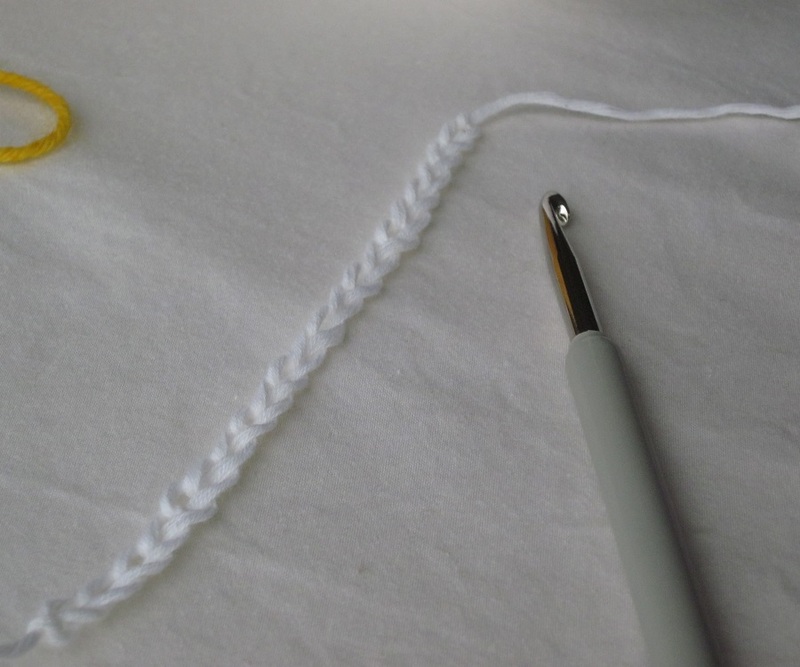 Completed chain, right side facing up (with the ‘V’s), slip knot in the bottom left corner, ‘tail’ in the top right corner. 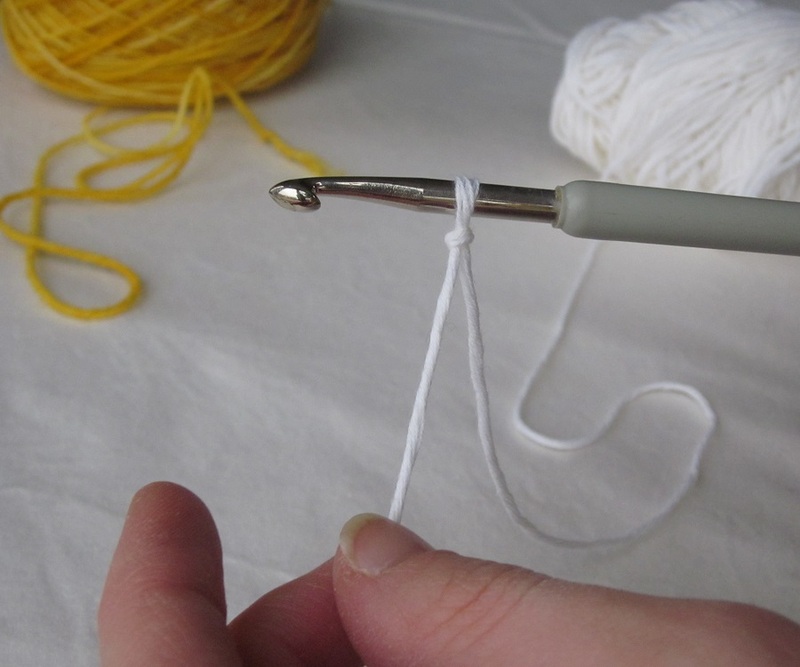 Do NOT start at the slip KNOT. 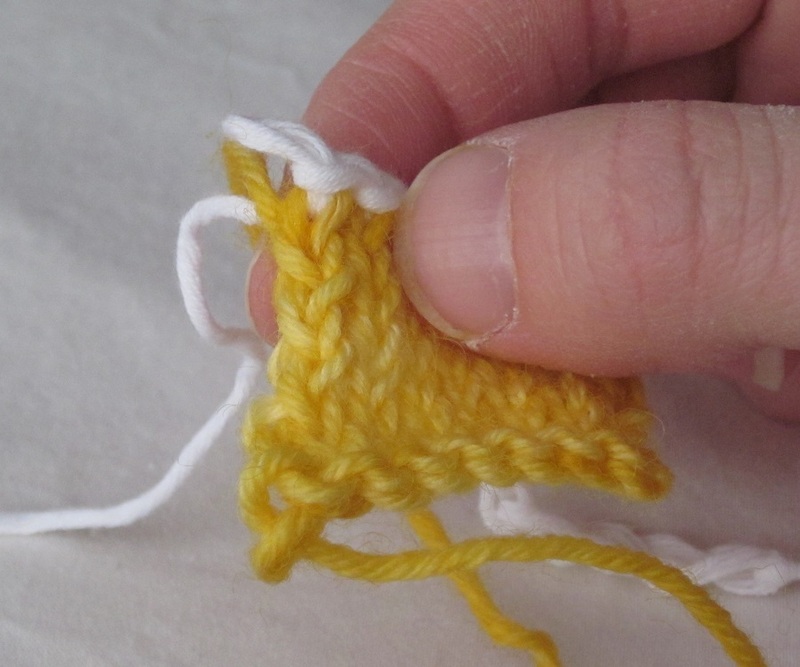 Starting a couple stitches away from the tail of the chain (see above), insert tip of needle in a ‘bump’, and pull working yarn through. 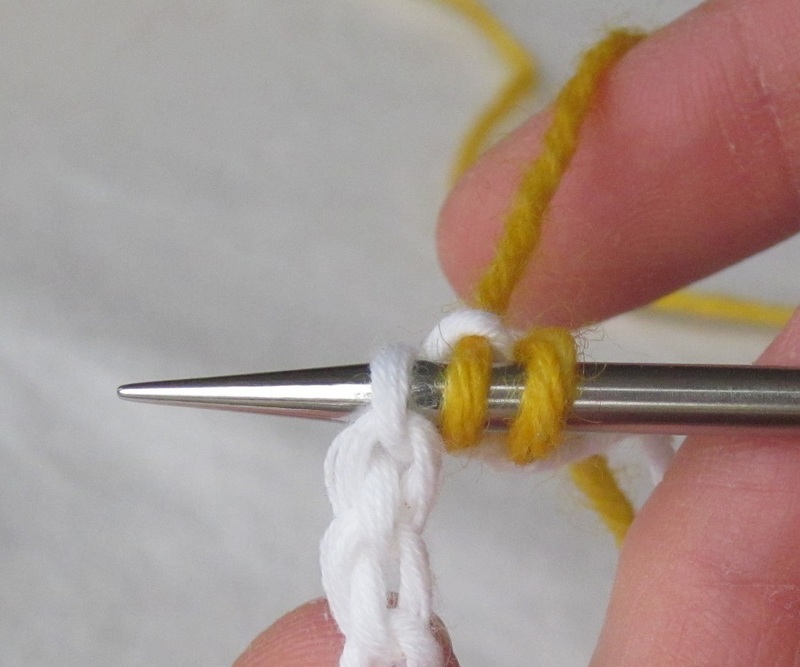 That’s one stitch created on the needle. 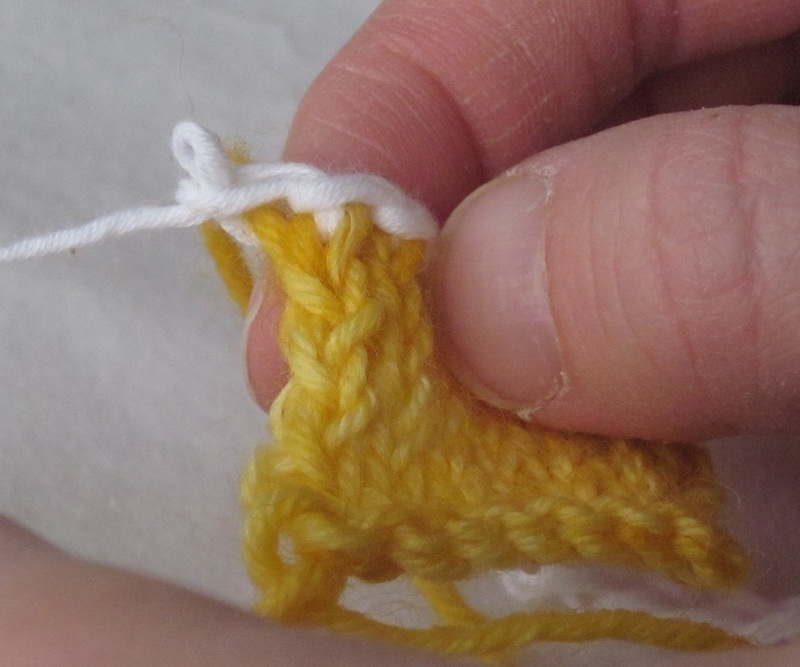 And continue in this manner until desired number of stitches have been created. 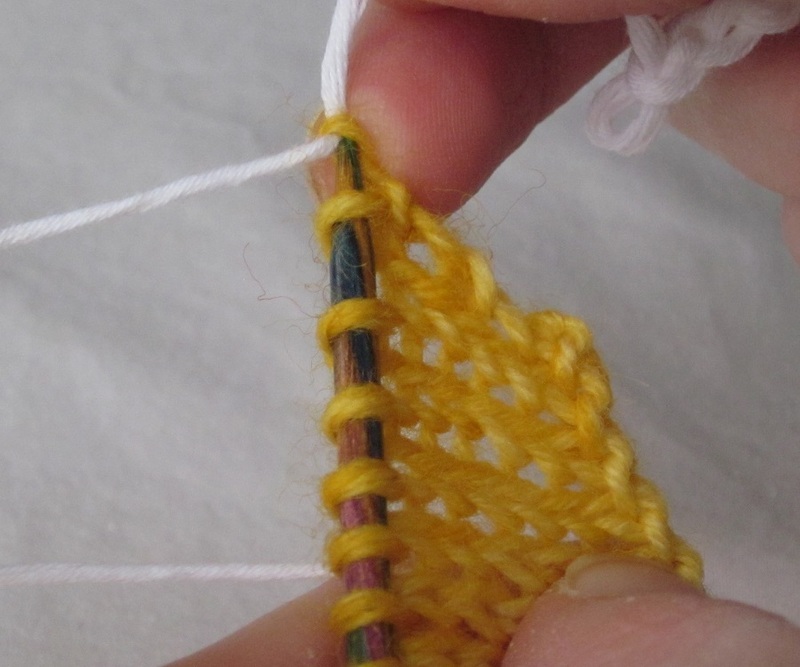 This completes the provisional cast on. 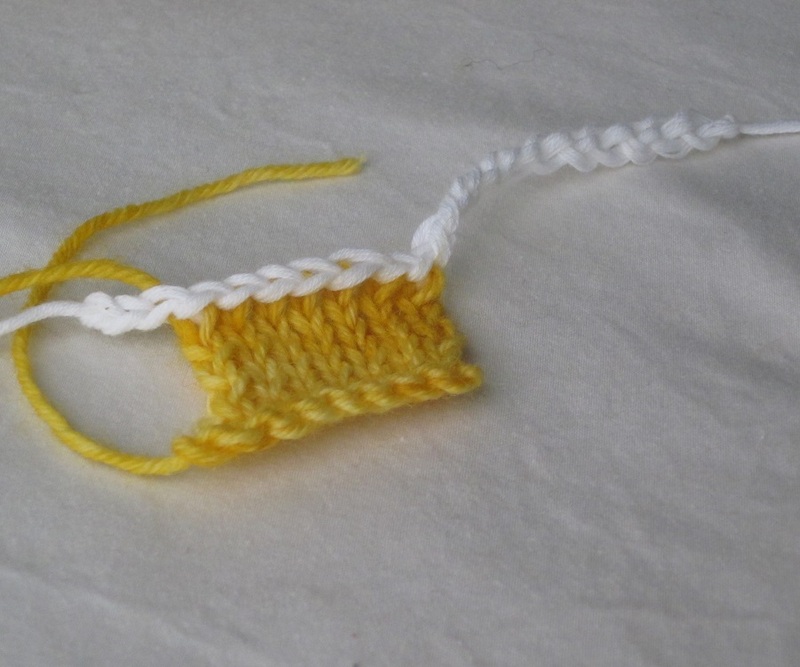 This is my little swatch, with the provisional crochet cast-on at the top, ready to be ‘unzipped’. 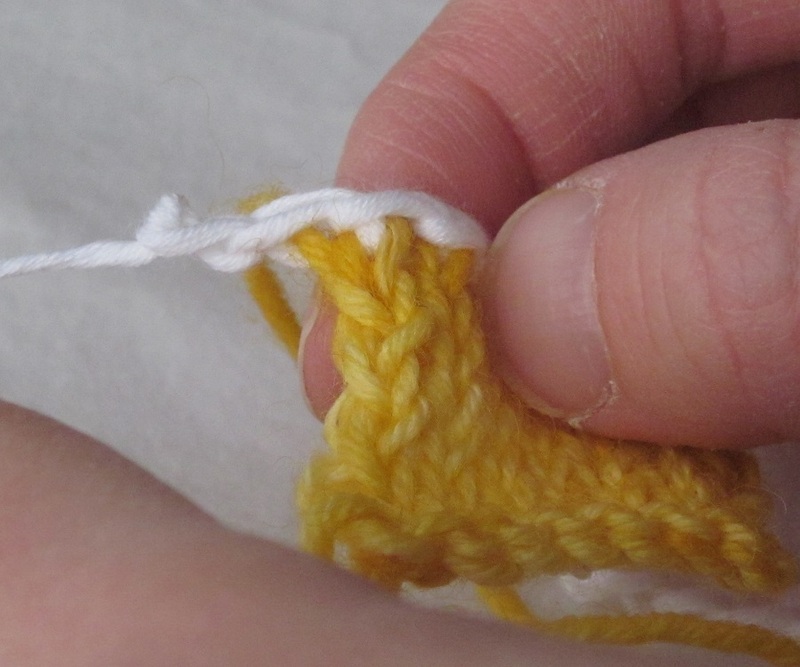 Starting at the tail of the crochet chain, undo the chain carefully (‘unzip’), until reaching the first loop that is ‘caught’ in the knitting. 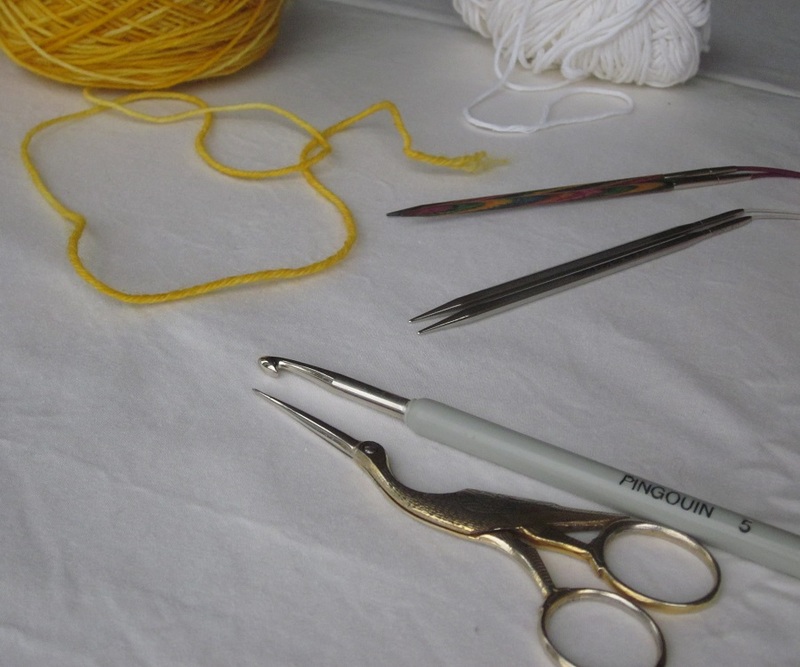 … until all stitches have been unzipped. 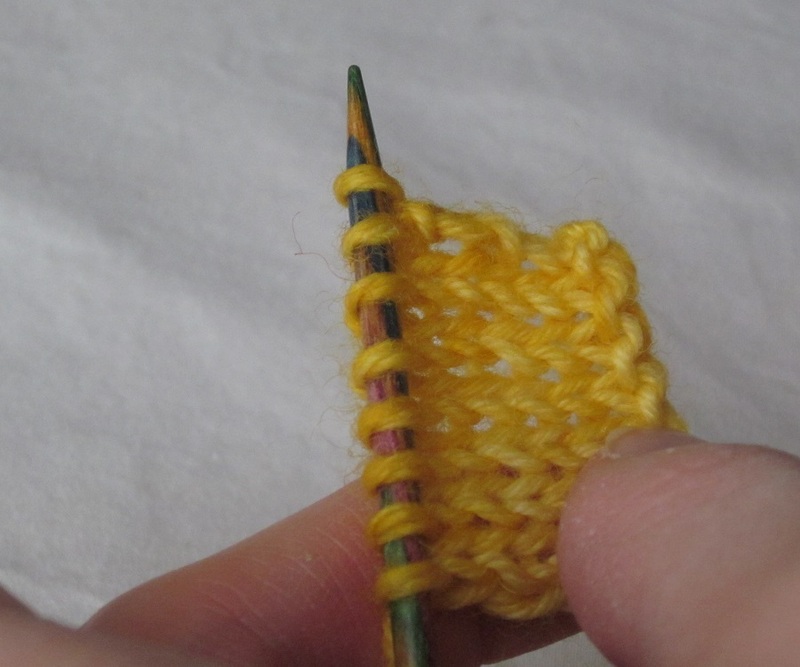 At this point, you should have one stitch less on the needle (compared to the number of sts cast on). 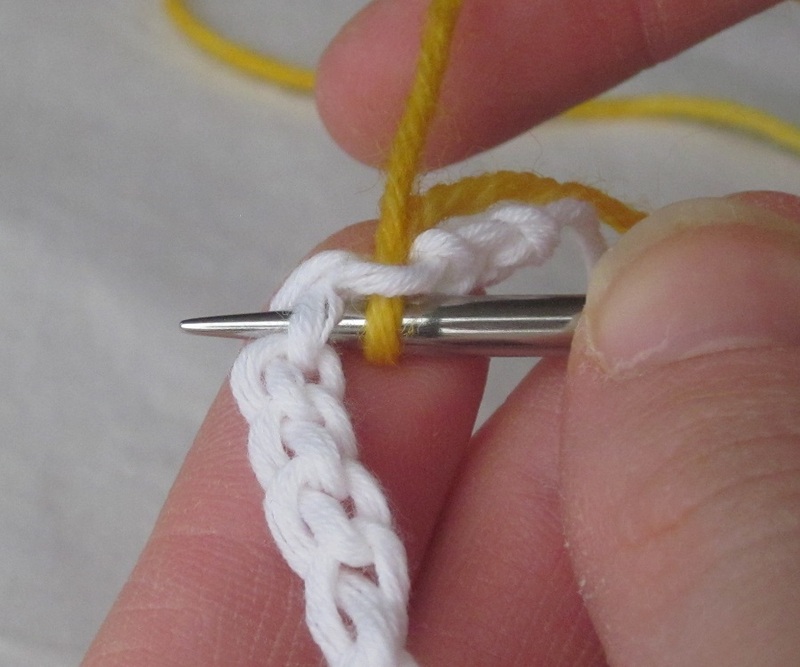 Remember, 8 sts were picked up from the crochet chain. 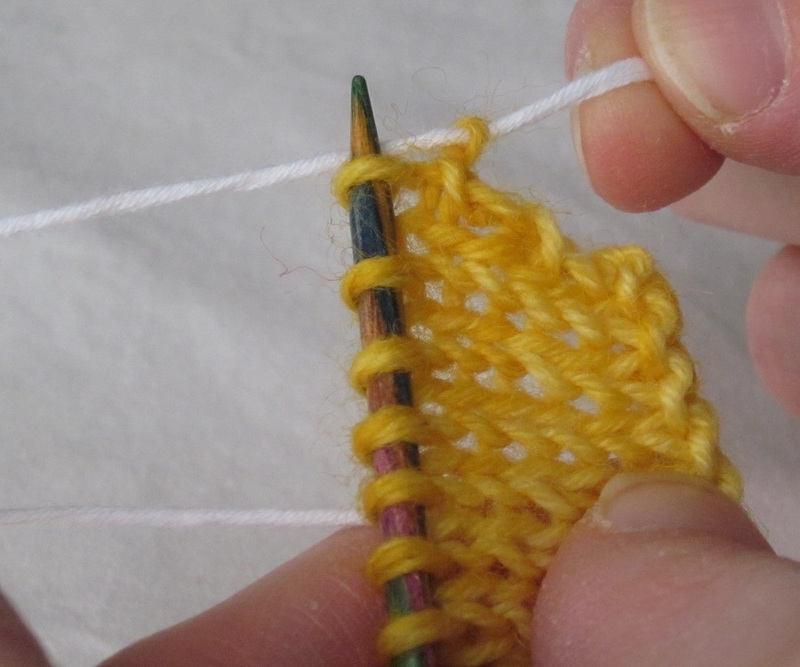 7 sts on the needle at this point (because by turning the knitting upside down to start from the ‘other hand’, the knitting is actually shifted by half-a-stitch). 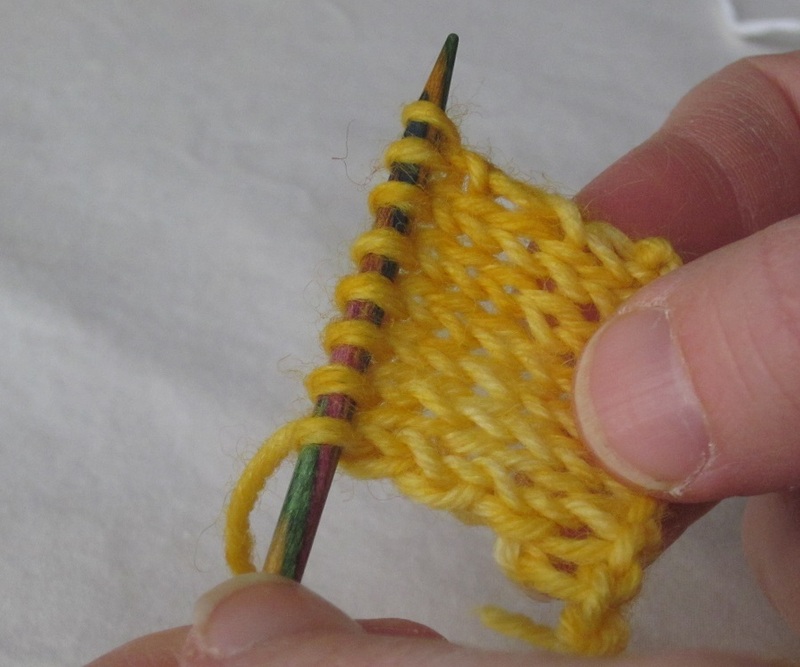 The waste yarn is caught in a twisted loop of the working yarn. 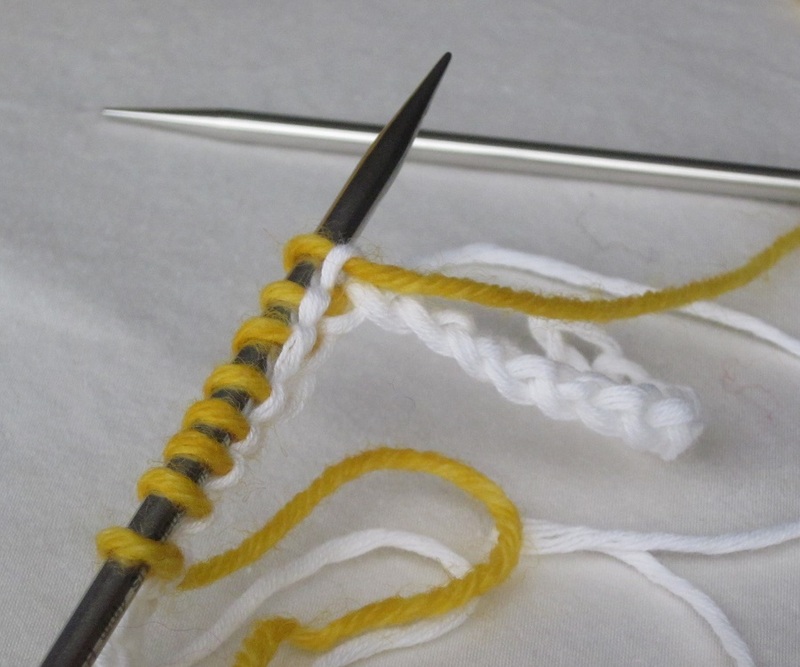 Place this twisted loop back on the needle. 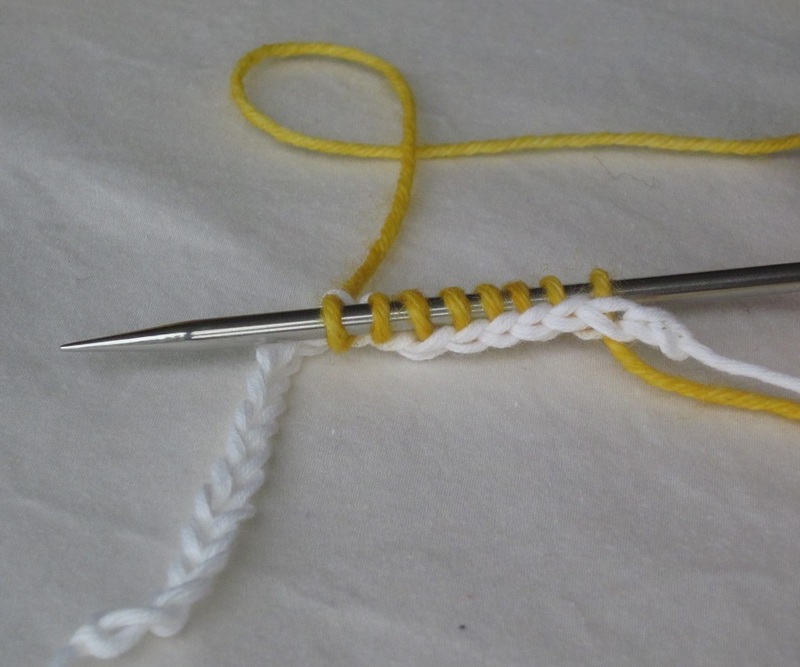 This is your 8th stitch. 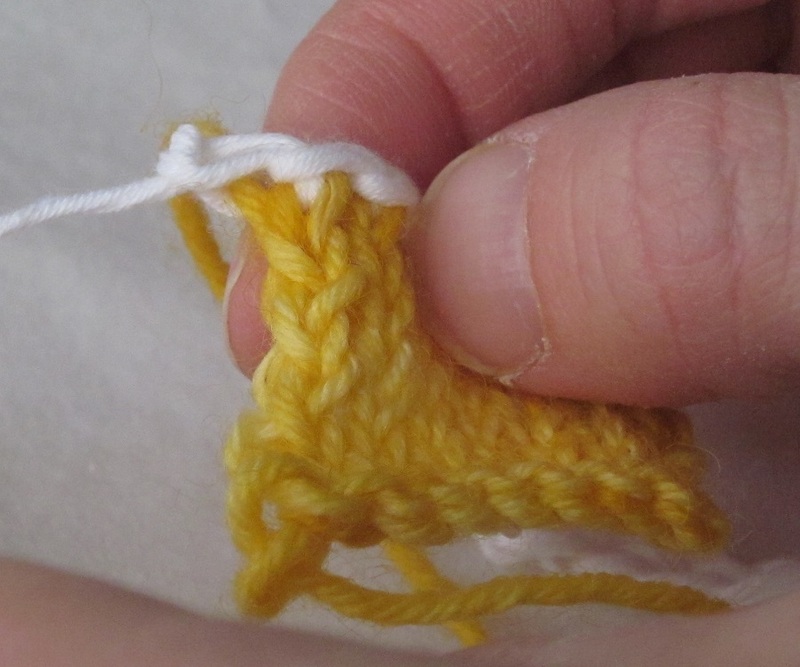 Remove waste yarn (slide it through). 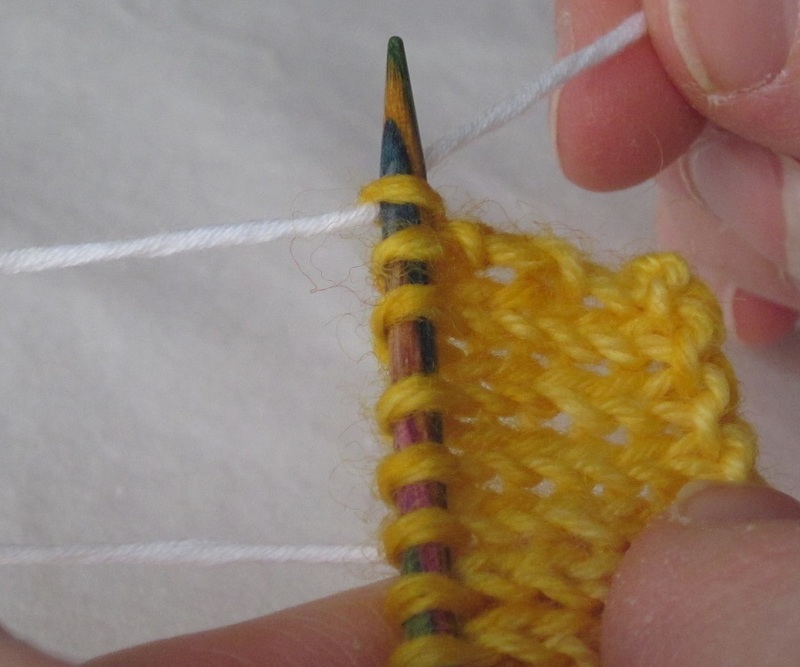 This completes the removal of the provisional crochet cast-on.